April Fools’ Day is observed throughout the Western world. Practices include sending someone on a “fool’s errand,” looking for things that don’t exist, playing pranks and trying to get people to believe ridiculous things. One of the most light-hearted days of the year, its origins are uncertain. Some see it as a celebration related to the turn of the seasons, while others believe it stems from the adoption of a new calendar. The Distinguished Alumni and Honorary Trojan Hall of Fame was established to honor those individuals who have made a significant impact through achievement, actions and contributions within their communities and professions and serve as exemplary role models for Arcanum students. The Arcanum Hall of Fame Committee is pleased to recognize the following inductees for 2019. This year’s Distinguished Alumni inductee is Mr. Ted Murphy, a 1965 Arcanum High School graduate, a 1969 Bowling Green State University graduate and he later completed a Master’s Degree at Ball State University and Columbia University. This year’s Honorary Trojan award goes to Mr. Ralph Brumbaugh. Ralph was born in an old farm house in the north end of Arcanum, and lived in the Arcanum vicinity his entire life. His daughters Kathy and Diane graduated from Arcanum. The induction ceremony to honor the new Hall of Fame members will take place at the Trojan Alumni Homecoming event on April 13 in the school cafetorium starting at 5 p.m. with dinner to begin at 6:30 p.m. Congratulations to our winners on behalf of the Arcanum Alumni Hall of Fame Committee, The Arcanum Alumni Committee and the Arcanum-Butler Local School District. The AHS band has been busy with contest preparation, fundraising, and mentorship opportunities. High school band students are volunteering in a new mentorship program designed to assist young band students with their music development. Not only is this a benefit to the young musicians, but also teaches important leadership skills to the older students. Congratulations to director Heather Marsh and the band students for receiving a Superior Rating in March to qualify for OMEA State Band contest. They will play at State Contest the morning of April 27, time to be determined. The band is also in the midst of fundraising for band camp and their big Walt Disney World trip! The A# Discount cards are available from the band students for $10 each. Thank you to all of the businesses who have supported this fundraiser by being a part of the discount program. Parents and officers of the A# club state that they wouldn’t be successful without their supporters! The next big fundraiser for the band will kick off on April 15. The band will be selling raffle tickets for a chance to win two one-day Park Hopper Passes to Walt Disney World! They will draw not one winning entry, but 10!!!! There is no limit on how many tickets an individual can purchase or win. Raffle tickets are $25 each. The winning tickets will be drawn at 4 p.m. May 19 during the band’s annual Mattress Sale at the Field House. 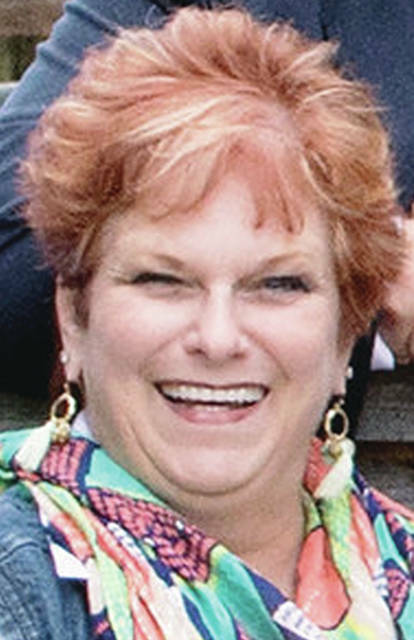 The Mattress Sale will be open from 10 a.m. to 5 p.m.
Ms. Nancy Ditmer, former junior high band teacher, will be retiring next month at the College of Wooster. Her final concert will be on April 28 at 2:30 p.m. at the McGaw Chapel, 340 E. University St., The College of Wooster, Wooster, Ohio. I’m sure she would love to see some of her former students from Butler Junior High! There will be a punch and cookie reception following the concert. The Arcanum Fire Department will be holding their annual Pancake Breakfast during OFD on Saturday, May 18 from 6 to 9:30 a.m. at the firehouse. Save this date on your calendar! The Little Mr. and Ms. Yesteryear Pageant during OFD is also looking for contestants for this year’s event. The theme this year is “On the Red Carpet.” Contestants must be 3 to 7 years of age. Applications are available at Yes Dear Hair and Nail Boutique, 7830 Alt. State Route 49 East, Arcanum. Applications must be received back on May 16 at 6 p.m. The Pageant will take place on Saturday, May 18 at 12:30 p.m. at Veteran’s Memorial Park in Arcanum.